President Muhammadu Buhari will on Sunday (June 10), embark on a two-day working visit to the Kingdom of Morocco. A statement by the Senior Special Assistant to the President on Media and Publicity, Mr Garba Shehu, said the visit is at the invitation of His Royal Majesty, King Mohammed VI. 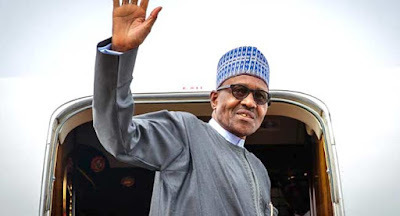 According to Mr Garba, the two leaders will discuss socio-economic matters affecting both countries, following prior engagements in December 2016, during the official visit of His Majesty to Nigeria. He said the discussions will focus on strengthening existing agreements. He also noted that following prior agreements on the fertilizer industry, 14 plants have been revitalized so far under the Presidential Fertilizer Initiative (PFI). “It is noteworthy that following the signing of a collaboration agreement between Nigeria and Morocco in December 2016 to revive the abandoned Nigerian fertilizer blending plants, 14 plants have been revitalized so far under the Presidential Fertilizer Initiative (PFI); with a total capacity of 2.3 million MT of NPK fertilizers,” the statement read.